What comes to your mind when you think of Thai society? For me, I think of the power of social network, you can observe any news and issue was rapidly spread to every part of country. This is the wheel that can move the entire society to whatever people want. Re: What comes to your mind when you think of Thai society? I think about the good characteristics of Thai people. We are friendly as we always smile to each other and we always help each other. But I cannot deny that some Thai people are being under the power of social media which is a huge problem that can cause the conflict. I really need to warn them to stop being a slave of this dangerous tool. And you all need to be aware of using the social media as well. Unless you are, you'll be a slave of it for sure. Oh! I would say many things! But, I will particularly focus on the thing that doesn't really go to the way it's supposed to go. I mean like a lot of projects for development in Thailand is kind of weak or is not put into an action seriously. I think Thai people don't pay attention to a process but they focus on an outcome or a result instead. What I'm discussing now can be implied into many things weak in Thailand. Foreiners may think about food, beautiful places, and the kindness of Thais. But for me thinking about Thailand in this recent time, I think about how people change very far from the past. Thais like complaining about problems, eccidents, or hot issue that happend in everyday. We enjoy sharings news on FaceBoook and express our opinion about it. But there are not many people start doing something to change maybe including me. I think we should put down our phones and do something good for our country. Thai society has been changed to be criticism society. People always criticize other people as we can see in social media. For example, in Facebook community the number of users shares news and lets other people comment or criticize even they don't know whether it is real or not. Moreover, the power of social media is very important because it can cause problems to people easily. I don't know why but I think it is what best reflects Thai society. when I think of Thai society is politics. As you can see the news on TV or social media. The people cannot communicate with English. 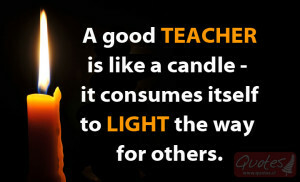 As i will be a teacher in the future, i need to do something to help them. Thai society is Thai society not Chinese or other societies. I mean we are Thai and what we do or think expresses our society. It consists of good and also bad traditions. And also each part of this country has their own tradition. E-sarn people have something different from other people of other parts of Thailand like the way we speak, the way we eat. Thai society is mixed with different way of lives. I think about "Ways of life"
When I go up north, I see something different from E-sarn where I was born. For example, the way people eat, talk, and speak. I think of my countryside, I think of my cows at my hometown. beside the street there are a canal. I just think of Esarn society, one of Thai society. Thai society has many rules and tradition. Sometimes I fed up with conservative people. I want to do what I can do and do not annoy others. Thai society has two sides both positive and negative for me. Positive side, they are friendly to talk to each other. Negative side, they are lack of responsibility especially punctual. And one thing come to my mind is current corruption. There are many problems occur in our society because of selfish people. For example, people usually break the traffic rules and have the accidents as we always see in the TV news. We should decrease selfishness for living peaceful in society. I think about Thai people who always smile and pay respect to older. We have been with the unstable society that has lots of issues and cannot get through them. So, change might be good for us. and make me and other people laugh. Such as those policies, laws and so on. Big smile of Thai people. Many people including me may think about big smile and kindness of Thais. Always focus on something new, but nothing changes or develops. Many people may say Thailand is so boring. For me, I see good relationship in social. You can call others as "Uncle" "Sis" "Bro" "Granny" and blah blah though they are not your kin. In many countries have only "You" and "Me" simultaneously. I think Thai people are always flexible, it's both good and bad. Sometime Thai people don't follow the rules strictly and it's bad but sometimes they empathize others and it's good. I think living in a simple life. Thai people are friendly and easily to smile.